Once upon a time, Stephen King got really famous and did a bunch of cocaine. As a result, he started writing under the name Richard Bachman to see if he could become twice as famous. From amidst the snow arose books about people walking (The Long Walk) and people running (The Running Man), the latter of which spawned a movie version starring Arnold Schwarzenegger as Ben Richards. As you may have guessed, Ben Richards is a man that runs. The year is 2017, and a dystopian and totalitarianism America is being censored of all cultural activity. Ben Richards is a police helicopter pilot who refuses orders to fire on innocent civilians. As a result, his fellow officers shoot them anyway and frame the beard-less Richards for the attack. Eighteen months later, we see Richards in Wilshire Detention Zone with a Prisoner Beard. After escaping prison, Ben "The Butcher of Bakersfield" Richards is captured and taken straight to ICS studios. 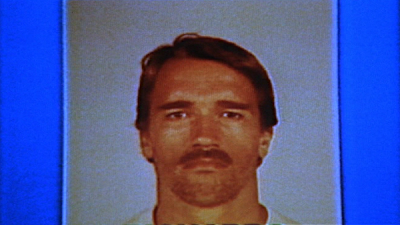 ICS pacifies society's insatiable appetite for violent entertainment by broadcasting shows like Climbing for Dollars and The Running Man. 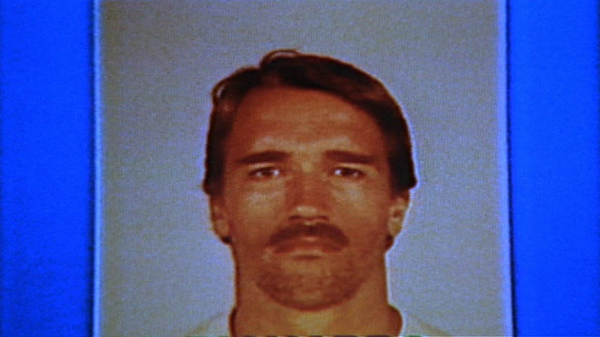 In The Running Man, regular "stalkers" are pitted against "runners," who are essentially prisoners brought onto the show by government contracts so they may ultimately survive and earn a pardon. The show is hosted by Damon Killian, played by real-life game show host and serial kisser Richard Dawson. In essence, Ben Richards must murder people on reality television to prove to America that he is not a murderer. It's a situation we all must face on a daily basis. Ben Richards' Prisoner Beard wasn't grown so he could lift steel I-beams over his shoulder. It was grown after feeling betrayed by his fellow police officers. After being arrested, Richards decided he no longer wanted to conform to the no-beard policies employed by his former police force. A moustache was as far as he could stretch it, based on his prior file photo shown on the news. Much like Harrison Ford's character Richard Kimble in The Fugitive (yeah, I'll get to that one), Ben Richards escapes from prison and shaves off his Prison Beard the first chance he gets. Not only does it make him less recognizable, but it also represents freedom -- the emergence of a new man as if he is sprung forth from a beard cocoon. Here is a bonus Prisoner Beard connection: Harrison Ford played a bearded Richard Kimble in The Fugitive. 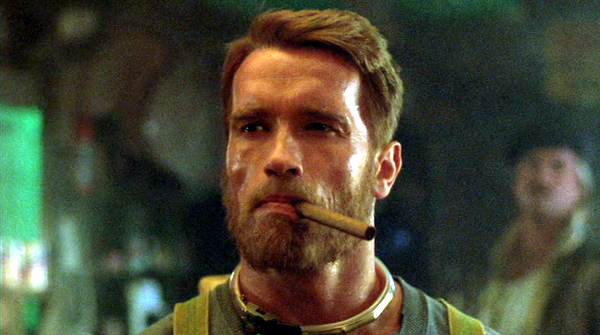 Arnold Schwarzenegger played a bearded Ben Richards in a movie based off a Richard Bachman book, and he later starred as Detective John Kimble in Kindergarten Cop. You're welcome.